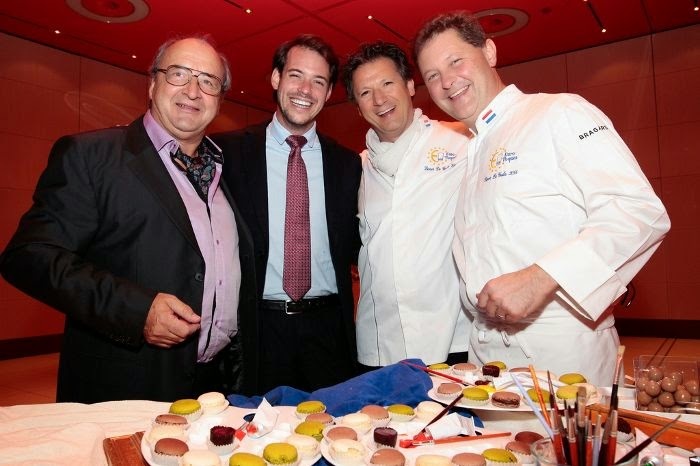 Last night, Prince Félix was in Luxembourg's only casino in Mondorf-les-Bains not to play some poker but instead attend the Dîner de Gala Euro-Toques 2014. Also among the guests for the presumably delicious gala dinner of the the union of certified Euro-Toques star-restaurants were the President of the Chamber of Deputies, Mars di Bartolomeo, and the Minister of Culture, Maggy Nagel. In March of this year, Daniel Rameau, president of Euro-Toques Luxembourg, visited Prince Félix and Princess Claire at their Château les Crostes in southern France.